A petition signed by more than 800,000 people will be presented at the United Nations in New York today (12 December), calling for the protection of Christians and other minorities in Iraq and Syria, and recognition of the key role faith leaders can play in rebuilding efforts post-Islamic State. The ‘Hope for the Middle East’ petition will be handed over by 12-year-old Noeh and his father, Hathem, from Karamles, northern Iraq, to representatives of the UN General Assembly, diplomats and members of other international bodies. 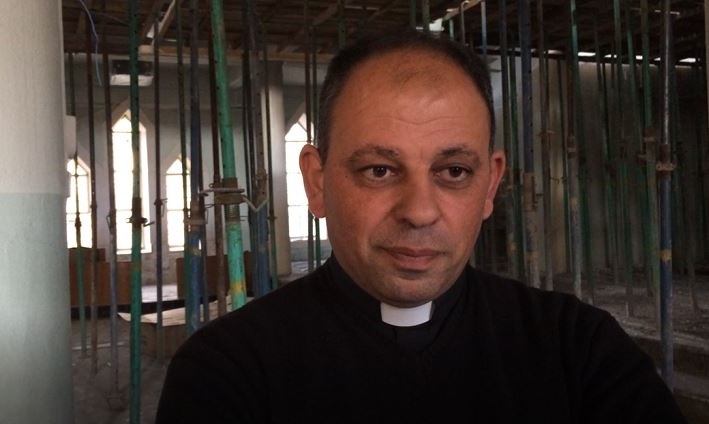 Another Iraqi priest, Father George, who is coordinating the Church Supreme Board for Reconstruction in Qaraqosh, said the petition is “very important for Christians here because … our issue … will be empowered by support of other Christians in the world. So the political decision will be made stronger as well, to support our life here and to stay here in this land”. The petition, an initiative of the charity Open Doors, calls on the UN and other decision-making bodies to collaborate with religious leaders and faith-based organisations in establishing and maintaining peace, and rebuilding Syrian and Iraqi societies. It says there is a need for legal frameworks that protect the rights of all citizens, irrespective of race and religion. According to a June report by three Christians charities, including Open Doors, for many of Syria and Iraq’s Christians the emergence of IS in 2014 was only the “tipping point” for their displacement, and it will require more than just protection from IS, the army or other militant groups, for them to return. An estimated half a million Christians fled Iraq in the 10 years before IS swept across the Nineveh Plains in 2014. Another Iraqi priest, Father Thabet, who oversees the reconstruction of buildings in Karamles, says “there is a lot to do … to help the Iraqi government create a just situation of freedom for all components of society, and especially for the Christians. To stop the ‘bleeding’ of emigration and to help the Christians to continue in their active role in society. More than 200,000 of the signatures came from inside the Middle East, including 65,000 from Iraq. The next highest number came from the UK and Ireland – over 185,000 – while India and Brazil each recorded over 60,000. 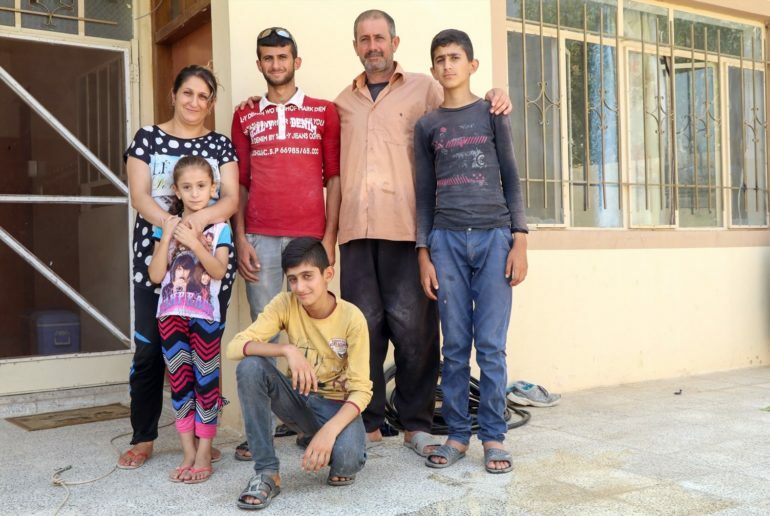 Father Thabet and Noeh’s family were among the many Christians from Karamles forced to flee to safer cities like Erbil, after IS arrived in 2014. By the time IS was forced out of the village, over two years later, the militants had left a trail of destruction, with hundreds of homes and other buildings burned-out or destroyed. In a poignant first visit back to his village earlier this year, Noeh discovered several marbles amidst the rubble and ashes of what was once his bedroom. In New York, he will hand over some of his scorched marbles to those in leadership positions, so they will remember him and his people. Father Thabet says 270 families, including Noeh’s, have now returned to Karamles in the year since IS left. Noeh’s school has reopened, but he and his parents are currently staying with Noeh’s aunt, while they save money to rebuild their home. Syrians are also slowly returning to rebuild their homes and lives. But human rights advocate Ewelina Ochab says that while many Syrian Christians believe they still have a future at home under President Bashar Al-Assad, many Iraqi Christians feel they have no future in the region anymore. 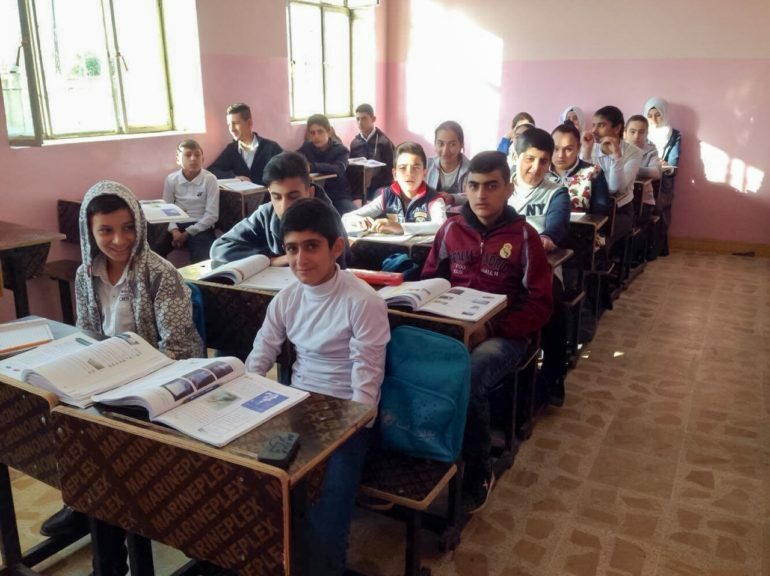 In May, church leaders in northern Iraq launched an ambitious US$262 million “Marshall Plan” for the reconstruction of Christian-majority villages devastated by IS. The Chaldean Catholic Archbishop of Erbil, Bashar Warda, said the US in particular had a responsibility to help rebuild Christian villages because of its leading role in the 2003 invasion. In October US Vice President Mike Pence announced that the US State Department will favour “faith-based groups” in future aid distribution, saying UN agencies “often failed to help the most vulnerable communities, especially religious minorities”. Pence is scheduled to visit the Middle East later this month.